If you were to open your Bible and read Mark 14:16, you would learn that Jesus’ disciples went into Jerusalem to prepare the final Passover meal before His crucifixion. The wording of the verse is as follows: “So His disciples went out, and came into the city, and found it just as He had said to them; and they prepared the Passover” (emp. added). The highlighted conjunction “and” (kai in Greek) is found in the Greek manuscripts of Mark. It also appears in most English translations of the Bible. However, in one particular copy of the Bible that I possess, the stem of the “d” in “and” is missing, causing the word to be misspelled: “So His disciples went out, ano came into the city...” (emp. added). Most people who read Jesus’ parable of the Wedding Feast (Matthew 22:1-14) learn of the king asking one particular attendee a very specific question: “Friend, how did you come in here without a wedding garment?” (vs. 12, emp. added). A colleague of mine has a reliable translation of the Bible that words Jesus’ question as follows: “Friend, now did you come in here without a wedding garment?” Obviously, the “now” should be “how” (Greek pos). Similar to how the “d” in “and” was skewed so as to look more like an “o”, the “h” in “how” lost its stem, causing it to look more like an “n.” Question: Whose fault is it that “and” has been incorrectly printed as “ano,” and “how” has been copied errantly as “now”? Surely no one would blame such errors in a modern English copy of the Bible on God or His inspired penmen (2 Timothy 3:16; 2 Peter 1:20-21). Almost everyone recognizes that publishing companies are responsible for such minute mistakes. Although the accurate reproduction of books nearly has been perfected during the past few centuries (thanks in large part to the invention of the printing press), still, for various reasons, slight errors can creep onto the printed page. God did not intervene and miraculously keep the aforementioned errors from appearing in copies of His Word. Instead, He gave humankind the ability and resources to understand that such errors can be resolved rationally without assuming the inspired writers erred. We know that “ano” should be “and” in Mark 14:16 and “now” should be “how” in Matthew 22:12 partly because millions of other copies of the Bible (in both English and Greek) have the correct words “and” (kai) and “how” (pos), and also because we easily can see how a printing press might occasionally leave off the stems of certain letters. One of the most popular books of the 21st century has been Dan Brown’s novel The Da Vinci Code. Since 2003, some 50 million copies of this book have been sold worldwide (“The Official...,” n.d.). Imagine for a moment the potential differences in the millions of copies of The Da Vinci Code if, instead of being printed on a press, they all were reproduced by hand. No doubt, many copyists’ errors would have been made. Occasionally, names would have been misspelled, numbers would have been inverted, and there would have been the occasional duplication or omission of words or entire lines. However, if several million copies of The Da Vinci Code were retrieved from all over the world, and then compared, contrasted, and critiqued by hundreds of scholars over several decades in an effort to recover the precise wording of Dan Brown’s original manuscript, the text, in effect, would be restored to its original condition. Most copyists’ errors would be weeded out. Through textual criticism, the text of The Da Vinci Code eventually would be restored. Whether one is referring to secular works or the Bible, prior to the invention of the printing press, copies of books were made by hand, and thus were susceptible to errors. In the 19th century, respected Christian scholar J.W. McGarvey noted: “There is not a writing of antiquity which has come down to our age without many such changes” (1886, 1:7-8). In fact, “[a] large part of the labor of the editors of Greek and Latin classics consists in correcting as best they can the erroneous readings thus introduced into these works” (McGarvey, 1:8). Take, for instance, the comedies of Terence (c. 190-158 B.C.). Seventeenth-century English scholar Richard Bentley noted how Terence’s works were some of the better preserved classical texts, yet Bentley testified that he had witnessed “twenty thousand various lections [readings—EL] in that little author, not near so big as the whole New Testament” (as quoted in “The Text...,” 1822, 15(37):476; see also McGarvey, 1886, 1:8). Consider also the writings of Tacitus. They are known to contain at least one numerical error that Tacitean and classical scholars have acknowledged as a copyist’s mistake (Holding, 2001). Scholars recognize that, at some point in history, a copyist accidentally changed a number (from CXXV to XXV). Although such copyists’ errors are known to exist, historians around the world cite such ancient works as Herodotus, Josephus, Pliny, Tacitus, Suetonius, etc., and consider them trustworthy, educational, and worthy of study. If scholars defend the integrity of ancient authors partly by acknowledging that many of the mistakes contained within their writings are the result of copyists’ errors, it is only reasonable for these same scholars (whether atheists, agnostics, skeptics, or Christians) to recognize that alleged problems within the biblical text may be the result of scribal errors rather than mistakes on the part of one or more of the original Bible writers. Just as those who copied secular historical documents sometimes made mistakes (e.g., misspelling names, omitting words, etc. ), scribes who copied the Bible from earlier texts also had the opportunity to err. As Gleason Archer observed: “Even the earliest and best manuscripts that we possess are not totally free of transmissional errors. Numbers are occasionally miscopied, the spelling of proper names is occasionally garbled, and there are examples of the same types of scribal error that appear in other ancient documents as well” (1982, p. 27). Norman Geisler and William Nix have mentioned several ways that a scribe might accidentally change the biblical text, including: (1) omissions or repetitions of letters, words, or lines; (2) reversals (transpositions) of letters or words; (3) divisions of words in the wrong places (since words in the early manuscripts were not divided by spaces); (4) errors of hearing (such as when scribes copied the Scriptures by listening to someone read them); (5) trusting in memory instead of relying on exactly what the text says; (6) errors of judgment (possibly caused by insufficient lighting or poor eyesight); (7) poor penmanship; etc. (1986, pp. 469-475). Recently, I wrote a note asking an assistant to send a package to a Mrs. Ward. Unfortunately, the package got mislabeled “Mrs. Word,” either because my handwriting was too poor to distinguish adequately between an “a” and an “o,” or the assistant simply misread the name. This example shows how easily copyists’ mistakes can occur, even in modern times. How many Bible students have memorized passages of Scripture and quoted them for months or even years without realizing that at some point in time they mistakenly changed, added, or omitted a word from the text. I once memorized 2 Peter 3:9 (“The Lord is not slack concerning His promise, as some count slackness...,” emp. added), only to find, several years later, that at some point I had incorrectly made “promise” plural, and had quoted it that way for months. One of the occasional mistakes copyists made was to trust too much in their own memory. Instead of carefully noting every letter in every word on every line, some copyists might have memorized too much at a time without looking back at the text. Keep in mind that scribes did not have computer keys that made the same letters every time, or that allowed them to copy and paste a paragraph of text with the push of a few buttons. Copying the Bible in ancient times was a painstaking, tedious job that required constant attention and care even in the best of circumstances. Luke 3:36 is the only verse in the Bible where one can read of the patriarch Arphaxad having a son named Cainan. Although another Cainan (the son of Enosh) is mentioned seven times in Scripture (Genesis 5:9-10,12-14; 1 Chronicles 1:2; Luke 3:37), outside of Luke 3:36, Cainan, the son of Arphaxad, never is mentioned. He is omitted in the genealogies of Genesis 10 and 11, as well as in the genealogy of 1 Chronicles 1:1-28. When the son of Arphaxad is listed in these genealogies, the name always given is Salah (or Shelah), not Cainan. One important thing we learn from the various genealogies in Scripture is that sometimes they contain minor gaps—gaps that are both intentional and legitimate (see Matthew 1:1; see also Thompson, 1989, 9:17-18). Thus, just because Luke 3 contains a name that is not recorded in Genesis 10 or 11, or in 1 Chronicles 1, does not have to mean that someone made a mistake. The fact is, terms such as “begot,” “the son of,” and “father”—often found in genealogies—occasionally have a much wider connotation in the Bible than might be implied when such words are used in modern-day English (cf. Genesis 32:9; John 8:39). Simply because one genealogy has more (or fewer) names than another genealogy, does not mean that the two genealogies are in disagreement. Still, the insertion of the name Cainan in Luke 3:36 most likely has a far different explanation—one that may be more plausible, yet at the same time is more complicated to explain, and thus less popular. It is very likely that the “Cainan problem” is the result of a scribal error made when copying Luke’s gospel account. As you can see, it would be easy for a weary scribe to copy “Cainan” inadvertently from Luke 3:37 as he was copying 3:36 (see Sarfati, 1998, 12:39-40; Morris, 1976, p. 282). Although some apologists reject the idea that the insertion of Cainan in Luke 3:36 is a copyist’s error, the following facts seem to add much credence to this proposed explanation. Cainan is omitted from all of the following ancient versions of the Old Testament: the Samaritan Pentateuch, the Syriac, the Targum (Aramaic translations of the Old Testament), and the Vulgate (a Latin translation of the Bible completed between A.D. 382 and 405) (see Hasel, 1980, 7(1):23-37). Cainan’s name is absent from Flavius Josephus’ patriarchal listing in his historical work, Antiquities of the Jews (see 6:1:4-5). The third-century Christian historian, Julius Africanus, also omitted Cainan’s name from his chronology of the patriarchs, and yet he had copies of the gospels of both Luke and Matthew (1971, 6:125-140). The earliest known copy of Luke (a papyrus codex of the Bodmer Collection dated between A.D. 175 and 225) does not contain this Cainan (see Sarfati, n.d.). This manuscript of a portion of Matthew dates to about A.D. 350. Some are quick to point out that the Septuagint (the Greek translation of the Hebrew Old Testament) mentions the name Cainan, and thus verifies that he was the son of Arphaxad, just as Luke 3:36 indicates. The problem with this line of defense is that the oldest Septuagint manuscripts do not include this reference to Cainan (Sarfati, 1998, 12:40). Patrick Fairbairn indicated in his Bible encyclopedia that this Cainan does “not appear to have been in the copies of the Septuagint used by Theophilus of Antioch in the second century, by Africanus in the third, or by Eusebius in the fourth” (1957, 2:351). He further stated that this Cainan also was left out of the Vatican copy of the Septuagint (2:351). That “Cainan” was a later addition to the Septuagint (and not a part of it originally) also is evident from the fact that neither Josephus nor Africanus mentioned him, and yet all indications are that they both used the Septuagint in their writings. They repeat too many of the same numbers of the Septuagint not to have used it. Thus, Larry Pierce stated: “It appears that at the time of Josephus, the extra generation of Cainan was not in the LXX [Septuagint—EL] text or the document that Josephus used, otherwise Josephus would have included it!” (1999, 13:76). As Henry Morris concluded in his commentary on Genesis: “[I]t is altogether possible that later copiers of the Septuagint (who were not as meticulous as those who copied the Hebrew text) inserted Cainan into their manuscripts on the basis of certain copies of Luke’s Gospel to which they then had access” (1976, p. 282, parenthetical comment in orig.). Although it is possible that “Cainan” in Luke 3:36 merely supplements the Old Testament genealogies, when all of the evidence is gathered, a better explanation is that the name Cainan in Luke 3:36 is the result of a copyist’s error. In 2 Kings 24:8, we read that Jehoiachin succeeded his father as the 19th king of Judah at the age of eighteen. However, 2 Chronicles 36:9 informs us that he was “eight years old when he became king.” Fortunately, there is enough additional information in the biblical text to prove the correct age of Jehoiachin when he began his reign over Judah. There is little doubt that Jehoiachin began his reign at eighteen, not eight years of age. This conclusion is established by Ezekiel 19:5-9, where Jehoiachin is described as going up and down among the lions, catching the prey, devouring men, and knowing the widows of the men he devoured and the cities he wasted. As Keil and Delitzsch observed when commenting on this passage: “The knowing of widows cannot apply to a boy of eight, but might well be said of a young man of eighteen” (1996). Furthermore, it is doubtful that an eight-year-old child would be described as one having done “evil in the sight of the Lord” (2 Kings 24:9). The simple answer to this “problem” is that a copyist, not an inspired writer, made a mistake. A scribe simply omitted a ten (the Hebrew numeral letter ח [yod], which made Jehoiachin eight (Hebrew י) [heth]) instead of eighteen (Hebrew יח). This does not mean the inspired penmen erred. Rather, it indicates that minor scribal errors have slipped into some copies of the Bible. Indeed, if you ever have seen the Hebrew alphabet, you doubtless recognize that the Hebrew letters (which also were used for numbers) could be confused quite easily. Should the king’s name be spelled with a “d” (2 Samuel 8:3; 1 Kings 11:23) or an “r” (2 Samuel 10:16; 1 Chronicles 18:3; KJV and ASV)? It would appear that the difference in spelling came about through the mistake of a scribe. Most likely Hadadezer (with a “d”) is the true form since, “Hadad was the chief idol, or sun-god, of the Syrians” (Barnes, 1997; cf. Benhadad and Hadad of 1 Kings 15:18; 11:14; etc.). As William Arndt stated, “D and R may be distinct enough in appearance in English, but in Hebrew they are vexingly similar to each other” (1955, p. xv). The Hebrew daleth = ד, while resh = ר. There should be little doubt in our minds that Hadarezer simply is a corrupted form of Hadadezer. One can see how easily a copyist could have made this mistake. When Did Absalom Commit Treason? When David’s son Absalom finally returned after killing his half-brother Amnon, 2 Samuel 15:7 indicates that “after forty years” passed, Absalom left home again and committed treason. Anyone who knows much Israelite history quickly realizes that Absalom most certainly did not spend 40 years at home during this time, for David’s entire reign was only 40 years (2 Samuel 5:4). The number given in 2 Samuel 15:7 likely should be four years, which is more in keeping with the lifetime of Absalom, who was born in Hebron after David’s reign as king began (2 Samuel 3:3). The number “four” also agrees with such ancient versions as the Septuagint, the Syriac, the Arabic, and the Vulgate. There is little question that the number “forty” represents a copyist error. They concerned themselves with the transmission of the consonantal text as they had received it [Hebrew has no vowels—EL], as well as with its pronunciation, on the basis that the text itself was inviolable and every consonant sacred. The detailed statistical work that the Massoretes undertook on each book included the counting of verses, words, and letters, establishing the middle of the book (a procedure which was useful in the case of bifid, or two-part, compositions) noting peculiarities of style, and other similar matters (1969, pp. 212-213, parenthetical item in orig.). By taking such precautions in the copying of letters, words, and verses (by sections and books), it could be known if a word or letter had been omitted or added. Indeed, as Eddie Hendrix affirmed: “Such minute checks contributed to a high degree of copying accuracy” (1976, 93:5). No other group of ancient copyists is more renowned than those of the Old Testament. In the second century A.D., Irenaeus applied this condemnation to copyists who knowingly contribute to the initiation and perpetuation of textual errors (5:30:1). Undoubtedly, due to the grace of God and the conscientiousness of copyists, “[t]he New Testament...has not only survived in more manuscripts than any other book from antiquity, but it has survived in purer form than any other great book” (Geisler and Nix, p. 475). Some may wonder how Christians can be confident that we have God’s Word today, when the original manuscripts (called autographs) are no longer available for our viewing. How can one know the Truth, if the Truth comes from copies of copies of copies...of the autographs, many of which contain various minute transcriptional errors? Should we simply give up and declare that attempts at finding the Truth are futile? It is highly unreasonable to think that truths can be learned only from autographs. Learning and forming beliefs based on reliable copies of various written documents, objects, etc. is a way of life. To conclude that a driver in a particular state could not learn to drive adequately without having in hand the original driving manual produced by the state years earlier is absurd. To assert that no one could measure the length of one yard without having the standard yard in hand from the National Institute of Standards and Technology is ridiculous. Even if the standard yard was lost, the millions of copies of the yard in existence today would be sufficient in finding (or measuring) exactly what a yard is. Consider also McGarvey’s example of an autograph, which eventually was destroyed. A gentleman left a large estate entailed to his descendants of the third generation, and it was not to be divided until a majority of them should be of age. During the interval many copies of the will were circulated among parties interested, many of these being copies of copies. In the meantime the office of record in which the original was filed was burned with all its contents. When the time for division drew near, a prying attorney gave out among the heirs the report that no two existing copies were alike. This alarmed them all and set them busily at work to ascertain the truth of the report. On comparing copy with copy they found the report true, but on close inspection it was discovered that the differences consisted in errors in spelling or grammatical construction; some mistakes in figures corrected by the written numbers; and some other differences not easily accounted for; but that in none of the copies did these mistakes affect the rights of the heirs. In the essential matters for which the will was written the representations of all the copies were precisely the same. The result was that they divided the estate with perfect satisfaction to all, and they were more certain that they had executed the will of their grandfather than if the original copy had been alone preserved; for it might have been tampered with in the interest of a single heir; but the copies, defective though they were, could not have been (1:17). Everyday, all around the world, individuals, groups, businesses, schools, etc. operate with the conviction that autographs are unnecessary to learn the truths within them. Copies of wills, articles, books, etc., can be gathered, inspected, and scrutinized until new copies are published that virtually are identical to the original. “[A]ccurate communication is possible despite technical mistakes in copying” (Archer, 1982, p. 29). So it is with the Bible. Even though copyists were imperfect in their transcription work, more than enough copies of the Scriptures have survived so that, as Sir Fredric Kenyon remarked, “it is practically certain that the true reading of every doubtful passage is preserved in some one or other of these ancient authorities. This can be said of no other ancient book in the world!” (as quoted in Lightfoot, 2003, p. 204). The Dead Sea Scrolls make up one of the greatest archaeological discoveries of all times. In 1947, a number of ancient documents were found by accident in a cave on the northwest side of the Dead Sea. This collection of documents, which has become known as the Dead Sea Scrolls, was comprised of old leather and papyrus scrolls and fragments that had been rolled up in earthen jars for centuries. From 1949 to 1956, hundreds of Hebrew and Aramaic manuscripts and a few Greek fragments were found in surrounding caves, and are believed by scholars to have been written between 200 B.C. and the first half of the first century A.D. Some of the manuscripts were of Jewish apocryphal and pseudepigraphal writings (e.g., 1 Enoch, Tobit, and Jubilees); others often are grouped together as “ascetic” writings (miscellaneous books of rules, poetry, commentary, etc.). 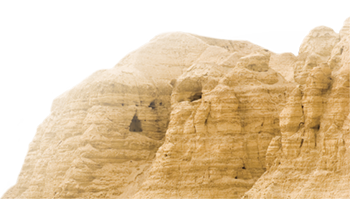 The most notable and pertinent group of documents found in the caves of Qumran near the Dead Sea is the collection of Old Testament books. Every book from the Hebrew Bible was accounted for among the scrolls except the book of Esther. The Dead Sea Scrolls serve as strong evidence for the integrity of the Old Testament text. Prior to 1947, the earliest known Old Testament manuscripts went back only to about A.D. 1000. 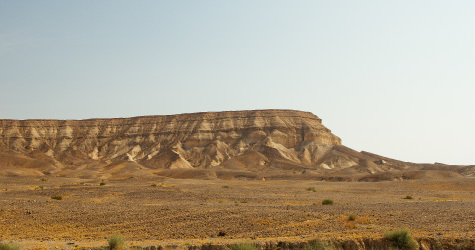 With the discovery of the Dead Sea Scrolls, Bible scholars have been able to compare the present day text with the text from more than 2,000 years ago. Textual critics have found that these ancient copies of Old Testament books are amazingly similar to the Massoretic text. Indeed, they serve as proof that the Old Testament text has been transmitted faithfully through the centuries. As Rene Paché concluded: “Since it can be demonstrated that the text of the Old Testament was accurately transmitted for the last 2,000 years, one may reasonably suppose that it had been so transmitted from the beginning” (1971, p. 191). What’s more, if copies of the Old Testament in the first century were sufficiently accurate for Jesus and the apostles to quote them and teach from them, and we possess Old Testament manuscripts that date back to (or before) the time of Christ, then Christians should feel extremely confident about the condition of the Old Testament in the 21st century—at least as confident as was Jesus (cf. Matthew 22:31). How confident can Christians be that the text of the New Testament is essentially the same today as it was in the first century? Could it be that one of the central tenets of Christianity (e.g., Jesus’ deity) is the result of a person’s manipulation of the New Testament text centuries ago, as is alleged in Dan Brown’s novel The Da Vinci Code (2003, pp. 233-234)? Did someone come along in the Middle Ages and drastically change the text of the New Testament? Just what evidence do we have for the reliability of the New Testament? Twenty-first-century Christians can be confident that the New Testament has been transmitted faithfully through the centuries in large part because of the vast amount of manuscript evidence in existence today, some of which goes back to the early second century A.D. When F.F. Bruce published the sixth edition of his classic book The New Testament Documents—Are They Reliable? in 1981, he noted that “there are in existence over 5,000 Greek manuscripts of the New Testament in whole or in part” (p. 10). Nearly 25 years later, Michael Welte of the Institute for New Testament Textual Research in Munster, Germany, indicated that the number of Greek manuscripts stood at 5,748 (2005). This number represents a far greater body of manuscripts than is known to exist for any other ancient volume (cf. Westcott and Hort, 1964, p. 565; Ewert, 1983, p. 139; Kenyon, 1951, p. 5). For example, The Histories of Herodotus, Caesar’s Gallic Wars, and the Annals of Tacitus, three well-known and oft’-quoted ancient historical works, are backed by a combined total of 38 manuscripts (Geisler and Nix, p. 408). The most documented book of antiquity next to the New Testament is Homer’s Iliad. Some 643 manuscripts of the Iliad are in existence today (p. 475), which is still 5,000 less than the number of extant copies of the New Testament. Equally impressive as the number of manuscripts of the New Testament in existence is the age of the manuscripts. Whereas the extant copies of Plato, Thucydides, Herodotus, Tacitus, and many others are separated from the time these men wrote by 1,000 years, manuscript evidence for the New Testament reaches as far back as the early second century, and possibly earlier. In The Text of the Earliest New Testament Greek Manuscripts, a 700-page volume edited by Philip Comfort and David Barrett, more than 60 of the earliest Greek New Testament manuscripts are transcribed (2001). Many photographs of these early manuscripts (the originals of which are housed in museums throughout the world) also are contained in the book. In the introduction, Comfort and Barrett state: “All of the manuscripts [contained in the book—EL] are dated from the early second century to the beginning of the fourth (A.D. 100-300)” (p. 17). 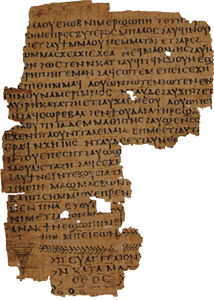 In fact, “[s]everal of the most significant papyri date from the middle of the second century” and thus “provide the earliest direct witness to the New Testament autographs” (p. 18). They even suggest that “it is possible that some of the manuscripts thought to be of the early second century are actually manuscripts of the late first” (p. 23). Thus, we can have great confidence in the transmission of the New Testament, not only because of the great number of extant copies, but because of how closely these manuscripts date to the time when the autographs were written. But, that’s not all. To the manuscript evidence, one also can add the ancient versions of the New Testament (e.g., Old Syriac, Old Latin, Coptic, etc. ), as well as the “more than 36,000 patristic citations containing almost every verse of the New Testament” (Geisler and Nix, p. 467). Non-inspired Christian writings from the first few centuries (by men such as Clement of Rome, Ignatius, Polycarp, Justin Martyr, Irenaeus, and many others) are saturated with quotations from the New Testament apostles and prophets. “Indeed, so extensive are these citations,” wrote the eminent New Testament scholar Bruce Metzger, “that if all other sources for our knowledge of the text of the New Testament were destroyed, they would be sufficient alone in reconstructing practically the entire New Testament” (1968, p. 86). These witnesses, along with the ancient versions, speak voluminously on behalf of the integrity of the Bible’s transmission. Is there ample evidence from surviving manuscripts, versions, and early quotations of the New Testament documents that indicates the New Testament is essentially the same today as it was in the first century? Most certainly. The former director of the British Museum, Sir Frederic Kenyon, summed up the matter: “The Christian can take the whole Bible in his hand and say without fear or hesitation that he holds in it the true word of God, handed down without essential loss from generation to generation throughout the centuries” (as quoted in Lightfoot, 2003, p. 126). Considering the potential over the past 1,900 years for the text of the Bible to be grossly corrupted, and the fact that such did not occur, Christians can be confident that God, though not inspiring the copyists in their transmission of His Word, used them in His providential preservation of it. Isaiah assured his listeners 2,700 years ago of the permanence of God’s Word, saying, “The grass withers, the flower fades, but the word of our God stands forever” (Isaiah 40:6). Then, after more than seven centuries of transmission, the apostle Peter echoed Isaiah’s sentiments, describing the Word of God as “incorruptible,” and that which “lives and abides forever” (1 Peter 1:23-25). Africanus, Julius (1971 reprint), “The Extant Writings of Julius Africanus,” Ante-Nicene Fathers (Grand Rapids, MI: Eerdmans). Bruce, F.F. (1981), The New Testament Documents—Are They Reliable? (Grand Rapids, MI: Eerdmans), sixth edition. Comfort, Philip (1992), The Quest for the Original Text of the New Testament (Grand Rapids, MI: Baker). Comfort, Philip W. and David P. Barrett (2001), The Text of the Earliest New Testament Greek Manuscripts (Wheaton, IL: Tyndale House). Fairbairn, Patrick (1957 reprint), “Genealogies,” Fairbairn’s Imperial Standard Bible Encyclopedia (Grand Rapids, MI: Zondervan). Geisler, Norman L. and William E. Nix (1986), A General Introduction to the Bible (Chicago, IL: Moody), revised edition. Hasel, Gerhard F. (1980), “Genesis 5 and 11: Chronologies in the Biblical History of Beginnings,” Origins, 7:23-37, [On-line], URL: http://www.ldolphin.org/haselgeneal.html. Hendrix, Eddie (1976), “What About Those Copyist Errors?” Firm Foundation, 93:5, April 6. Holding, James Patrick (2001), “Copyist Errors,” [On-line], URL: http://www.tektonics.org/copyisterrors.html. Irenaeus (1973 reprint), “Irenaeus Against Heresies,” The Ante-Nicene Fathers (Grand Rapids, MI: Eerdmans). Keil, C.F. and F. Delitzsch (1996), Keil and Delitzsch Commentary on the Old Testament (Electronic Database: Biblesoft). Kenyon, Sir Frederic (1951 reprint), Handbook to the Textual Criticism of the New Testament (Grand Rapids, MI: Eerdmans), second edition. Lightfoot, Neil (2003), How We Got the Bible (Grand Rapids, MI: Baker), third edition. McGarvey, J.W. (1886), Evidences of Christianity (Cincinnati, OH: Guide Printing). Metzger, Bruce (1968), The Text of the New Testament (New York, NY: Oxford University Press). “The Official Website of #1 National Bestselling Author Dan Brown” (no date), [On-line], URL: http://www.danbrown.com/meet_dan/index.html. “The Text of the New Testament” (1822), The North American Review, 15(37):460-487, October, [On-line], URL: http://memory.loc.gov/cgi-bin/query/r?ammem/ncps:@field(DOCID+@lit (ABQ7578-0015-27)). Thompson, Bert (1989), “Are the Genealogies of the Bible Useful Chronologies?” Reason and Revelation, 9:17-18, May. Welte, Michael (2005), personal e-mail to Dave Miller, Institute for New Testament Textual Research (Munster, Germany), [On-line], URL: http://www.uni-muenster.de/NTTextforschung/.